So yes the holidays are coming. I think it is a great time to start making healthy decisions and changes and staying on track before losing control over the holidays. HOWEVER, I know for some this is just not possible. But rest easy. Instead of thinking the impossible; realize you have 2 entire months to start planning for a healthier lifestyle come January 1st. *2 months for me to find you the right fitness program that you love and are excited about. 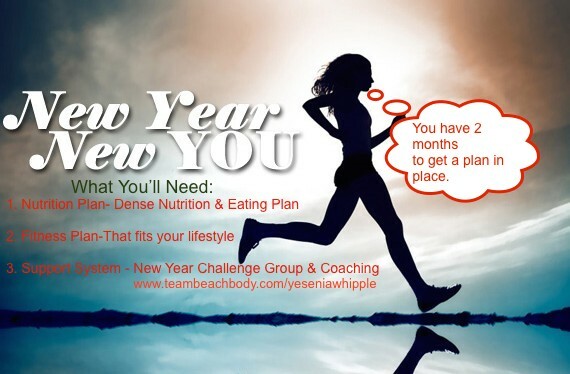 *2 months to start thinking of the type of nutritional changes you want to make to your lifestyle. *I got you covered on the support and coaching! Sooooo what do you say? I say you are worth the time, energy, and investment.